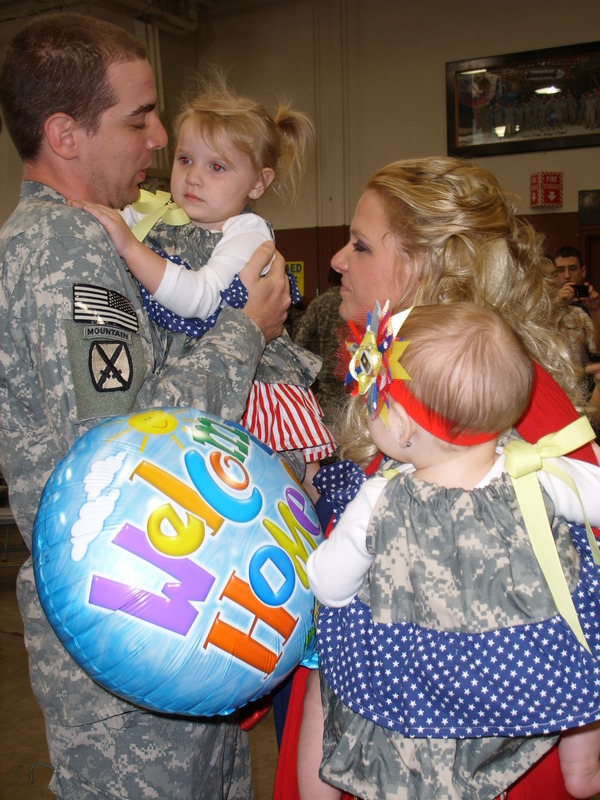 Jackie and Brian marked the end of 2011 with a surprise reunion with his family prior to his expected fifth deployment in 2012. I surprised my husband right after Christmas with an impromptu trip to New Jersey to see his family. He was so excited, this trip was special to him, we were saying goodbye to 2011 and looking forward to 2012. Unfortunately, 2012 holds deployments in our future, for both Brian and his twin. Richie was flying home, to New Jersey, and Brian was excited to surprise him. We started the almost 18 hour drive at 6 pm the day after Christmas, and were able to surprise Brian’s dad at his work close to lunch time on the 27th. It was heart warming to see both girls run to their Grandfather, excitedly and jump into his arms. I thought for a moment Big Rich would cry. What an exciting thought it must have been for him, to have his entire family in one home before both of his children were to deploy. We surprised Brian’s brother at the airport, it was equally exciting as his pregnant wife was traveling with him, and our youngest daughter was meeting her for the first time. Anyone who knows me well, knows that I usually have my camera attached to my hand. I was so disappointed when I realized I left my camera at home in all the excitement. I remembered that my dear friend Alaina, an amazing photographer, had gone home for the holidays. 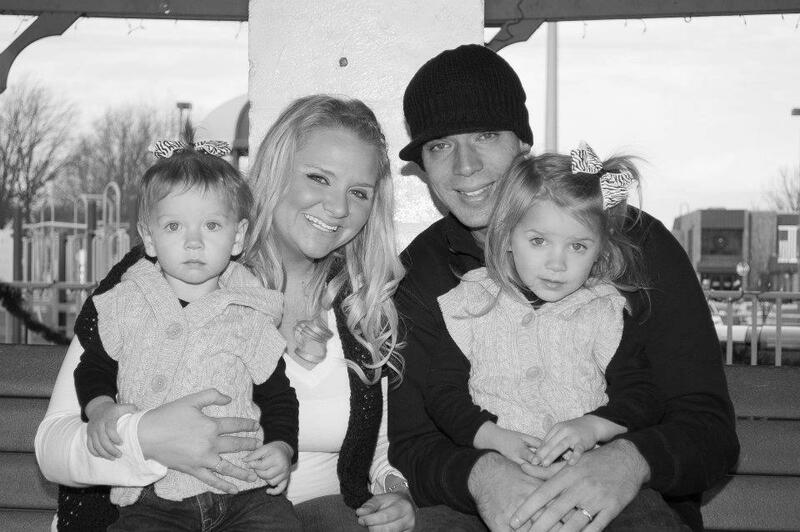 We were able to get pictures of all of us together, and start 2012 off with great memories for all the Dorr’s. But what does 2012 have in store for us? Deployment, yes again, yes it does seem like he just came home doesn’t it? Brian has also decided to re-enlist, he has been in for 9 years, so he is still able to re-enlist without it being indefinite. We are hoping we can re-enlist for our choice of duty station, fingers crossed. I am so excited to start a new year, watch my children grow, welcome a new niece into the world, send my husband off and welcome him home from foreign lands. What does 2012 have in store for you?